Just had Calvin's IEP meeting. Calvin's teacher knows that he uses cannabis but she's the only one that we shared that info with. At the end of the meeting, the autism specialist asked me why Calvin wasn't beating his head anymore. What did I attribute that to? How did Calvin acquire more verbal language over the past year? How was Calvin sitting through an IEP meeting with no toys, no videos & most important, no behaviors. I told them that he uses medical marijuana & we had an awesome conversation about it. Oh & their jaws dropped when we told them that we've been taking Calvin to his high school football games (they thought that would cause a sensory overload). We are winning. 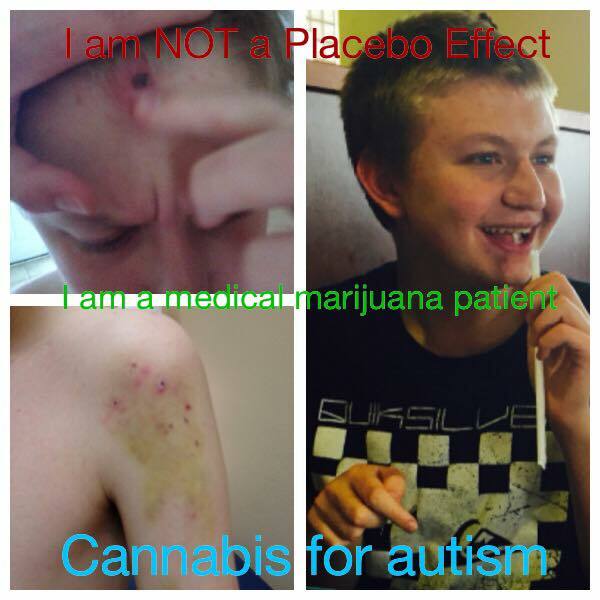 We struggled for the first year to find his sweet spot with cannabis but we're there & things are good. Calvin has been stable for the past year & even went back to public school, last year for the first time since 2010. It's been a great year. There is no better feeling than to see your child do well after they've struggled for so long. Thank God for cannabis & for the people that He put in our lives to help us become self sufficient & successful.